NEW LANE – CA to LA | EDI Express Inc.
EDI Express in proud to announce the launch of a new service lane! 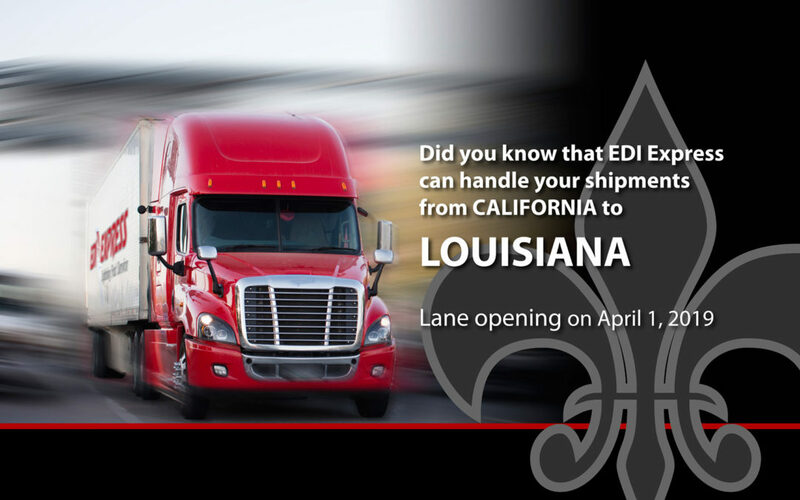 Starting on April 1, 2019 we will be servicing the entire state of Louisiana from California. Contact your EDI sales representative for more details and pricing information today!